Do love getting out of the city heat and into the cool hills of Victoria? Well it is time to pack your bags for the Cleveland Winery located in the Macedon Ranges, just 30 minutes drive from the Western side of Melbourne. The kids can manage that without one outburst of "Are we there yet?" this winery is so close to Melbourne. The Grange Cleveland Winery and Accommodation is nestled in the heart of the Macedon Ranges. Grange Cleveland is surrounded by over 100 acres of vineyard, country gardens, a lake and wide open spaces. 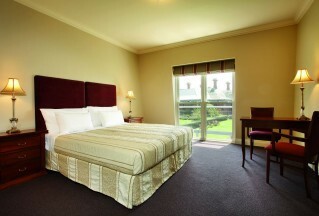 It's the perfect environment for a relaxing break in their stunning facilities. Rooms have glorious views across the vineyard, the property offers modern, architect designed guest suites nestled alongside their historic 1890s Homestead. Wow what a treat, to see a 1890s homestead. This will get the kids wanting to learn more about history. But there is more, ACTIVITY CENTRAL is officially being launched. The Grange Cleveland Winery is hosting a FREE Family Fun day on Sunday January 22, 2017 between 10am- 1pm in conjunction with the launch of this new Activity Central. 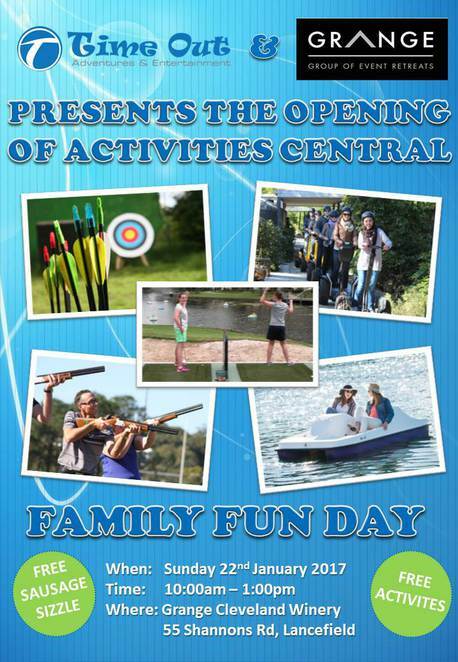 Activity Central is a new initiative for the whole family to enjoy. So not only do you get to enjoy stunning scenery, fine wine tasting and dining, you will be able to check out their new Activity Center. There is tons on offer for both staying guests and visitors to play at and try out. 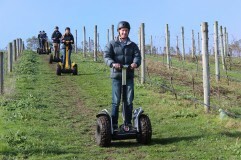 Be first in line to grab a Segway for rides around the 100 acres ( 2 wheel motorised platform - if you are curious). Or pretend you are in medieval times and try your hand at archery and don't forget your pointy hat. Or jump into a paddle boat and try to stay dry and inside the boat. But you might enjoy the splash of cold water on a sunny mountain play day. Maybe try your golf swing with "splash golf" and get wet that way. Maybe you think you are a sharp shooter and can hit all the laser clay birds. Food is on offer as well with a FREE SAUSAGE SIZZLE.. This is the perfect trip out of the city for a perfect day of summer activities for the kids and family. Just don't forget your towel; there will be wet moments. So whether you just want to drive out for the day and bring some other picnic bits, come the night before and stay at their stunning accommodation, plan now. Put this day in your diary, January 22, 2017, for SUNDAY FUN for all. And call and make your bookings for your weekend stay as there is lots more to do around this stunning range area. Sharon Ho, says, "The new activity centre brings amazing new adventures to the Macedon Ranges region. It is open to public, which means anyone can just go for the day or even host gatherings and birthday parties." However, she warns, that prior bookings are required on any other day but this FEE DAY. This is the only FREE open day. Also, some activities require a minimum age of 10 years old. 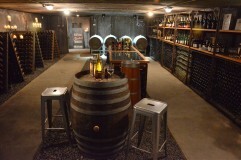 They also have wine tasting in their underground cellar which is a very unique experience. You can book a special wine tasting, and even a hosted chat with the wine maker. This would be a treat the night before the big family fun day. You can also book this facility for conferences, for work events or maybe that big family reunion. What a wedding venue this would make and the place all to yourself. They can add activities that will be just right for your event, such as high and low rope drills or other team building exercises. Let them tailor an event never to be forgotten just for you. But first come see how wonderful it is on this Free Family day. Photos courtesy of the Grange Cleveland Winery website.